The industry of bread in Australia is been mainly dominated by the large players having highly mechanized production lines which required human involvement also which makes the production process highly capital demanding. Bread is been seen to be the most essential part of life and is commonly used in each and every region all over the world. Small business is the stage which determines the strong will power and confidence of businessmen. Every giant business in today’s era was one a small business. Thus it won’t be wrong to say that small business enterprises are the future of economy and country. They provide strength to the industry and they have potential to show new business management dimensions. Here in this study the small business enterprises have been studied form various perspectives. Bread has given a vast business scope to the Australian population worth of more than two third or 62% of the total market share with respect to the bread sold. It has been identified that the bread industry needs a fair level of capital investment as measured through the ratio of capital and labour. The research will undertake analysis of bread industry of Australia and its significance on growth of business of small business sector. The industry was been listed among the largest industries of Australia which provides with the remarkable amounts of revenue income and growth to the economy but with the increase in the competition and advancements, the industry faced decline in the same. It covers average market share and contributes in the enhancements in the economy. Moreover, the researcher had also found that the bread industry requires more investments in terms of human resources, advancement, and development. The bread industry is been considered to be the most important and ancient industries of Australia. In-spite of the modification in the diets due to the growing health concerns, multiculturalism and the abundance of snack food, bread remained an important part of life. It has been identified that the average consumption of bread in Australia had been reduced but the industry had emerged again with the excessive variants in the products such as whole grain, wholemeal, sweetened, seeded, artisan loaves, sourdough and rye and the flat breads. The industry was been listed among the largest industries of Australia which provides with the remarkable amounts of revenue income and growth to the economy but with the increase in the competition and advancements, the industry faced decline in the same. It covers average market share and contributes in the enhancements in the economy. With the increase in the number of supermarkets, in-store bakery, etc. there had been an immense competition for the bread producers who have contributed an annual growth of approximately 2.1% in last five years. It has been expected that the revenue income of the industry would reach up to $2.6 billion till 2017. While carrying out a study methodology is written for showing out users about the methods and techniques which have been used for drawing out effective output for the study. Research methodology helps out readers in getting absolute knowledge and understanding the way investigator has adopted for achieving desired results for the research. For the particular research secondary data collection and positivism philosophy will be used for understanding of data. Moreover deductive approach will be used to draw appropriate conclusion. For carrying out the present study researcher has undergone descriptive research design as this particular research will be formulating hypothesis in order to test the relationship between stock market development and its impact on economic growth. For achieving different objectives of this section researcher has undergone various aspects such as research philosophy, research approach, research type, research design, data collection, accessibility issues, data analysis, and ethical consideration and research limitations. In current research major steps will include introduction of the research topic which is about the effectiveness of bread industry of Australia. In this introduction, research will offering the information about process and contribution of bread industry in the economy of the nation and employment. In the next step the research will review of research of the different authors to understand the facts and factors that have significant influence on the process of the bread industry of nation. The literature review will analyse factors and considered the research question on the basis of information provided by the different authors. Moreover, research will follow research methodology for planning the activities to collect and analyse the data that will be consider for results and get the desired finding about the topic chosen for research. Data analysis will be performing by using the thematic approach and considering the question that proposed for research. The analysis of data collected from the different sources and techniques for finding the desired results which will help to determine the effectiveness of the research. At last the research will provide the conclusion and recommendation on the basis of the results which will help to understand the areas of lacking and process of improvement to influence the business of bread industry of Australia. This chapter of research will provide the information about the topic, duration and objective of the research undertaken for bread industry of Australia. The introduction chapter will provide the information about the steps will used for managing the research and techniques that will involve in the finding of the desired outcome. Moreover, for carrying out the present study researcher has undergone descriptive research design as this particular research will be formulating hypothesis in order to test the relationship between stock market development and its impact on economic growth. Research will follow research methodology for planning the activities to collect and analyze the data that will be consider for results and get the desired finding about the topic chosen for research. Data analysis will be performing by using the thematic approach and considering the question that proposed for research. The analysis of data collected from the different sources and techniques for finding the desired results which will help to determine the effectiveness of the research. The next chapter of research will provide the past information about the topic that has been chosen and evaluate the facts and factors according to results oriented process. This section of research is important for providing the in-depth details of the topic and areas that will going to be touch in the research. This part of research will consider past report and views of different authors for deterring the process which will play important part. Moreover, the research could explore the products in terms of presentation, flavours, varieties, etc. by keeping the consumer preferences and choices in minds. There are various baking advancements which had taken place in the market such as use of gluten free bread, sweet breads, different shapes, sizes, etc. This is an important area of study that will define the process of undertaking the process of collecting and analysing the data for managing the research. This section has significant impact on the finding and results of the study. Research methodology helps out readers in getting absolute knowledge and understanding the way investigator has adopted for achieving desired results for the research. This section of dissertation dictates about the structure that researcher is going to undertake for carrying out the present study. Investigator lays down proper focus in planning out appropriate research methodology in order to successfully achieve objectives of the research. For the particular research secondary data collection and positivism philosophy will be used for understanding of data. Moreover deductive approach will be used to draw appropriate conclusion. 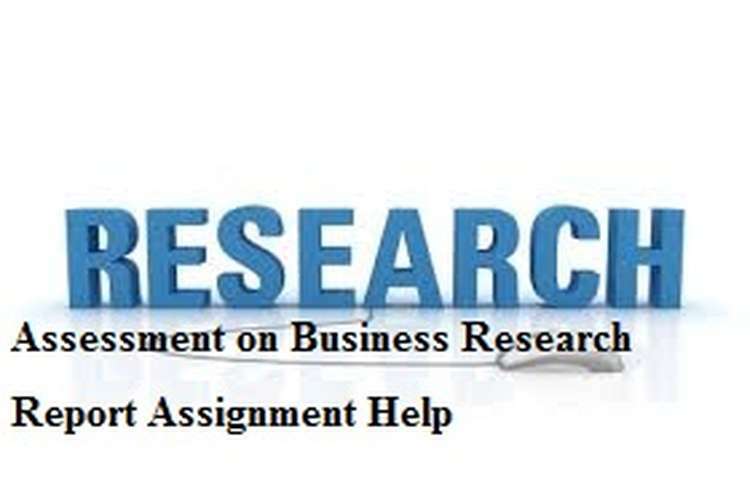 For carrying out the present study researcher has undergone descriptive research design as this particular research will be formulating hypothesis in order to test the relationship between stock market development and its impact on economic growth. For determining results and get the knowledge about the finding in the appropriate manner data analysis will be the important section of this study. In the particular part thematic data analysis process will be undertaken to analysis the secondary data collection from the different sources. In that the data will present in the graphical format to understand the effectiveness of the data. The analysis of data collected from the different sources and techniques for finding the desired results which will help to determine the effectiveness of the research. At last the research will provide the conclusion and recommendation on the basis of the results which will help to understand the areas of lacking and process of improvement to influence the business of bread industry of Australia. For summarizing the information the last section of the research will provide the conclusion in which it includes the data about the data analysis and process that used for collecting the presenting. Moreover, it will offer the important facts and figures about the bread industry analysis as well as recommendation to overcome the challenges to maintain the growth in the future. Conclusion will collect the key information and data for identifying the effectiveness of the study to analyse the further steps for managing the action for future growth and development of new strategy and operations to sustain the place as well use of resources. In spite of that, recommendations will support the industry to make changes in the existing plan for improvement and overcome the impact of identified challenges. Literature review is basically a theoretical framework or base which is been carried out with the purpose to collect the information and data from the past researches and studies so that to build a strong basis for the present research. It is very much essential for the investigator to conduct a literature review prior initiating the research as it helps in gaining in-depth knowledge about the topic and the related aspects. The present literature is focused to the information systems about Bread industry of Australia and its relevant aspects (Ferguson, 2015). The literature review is been carried out by going through various researches and studies published by the renowned scholars or researchers in their past studies. It also increases the effectiveness of the research and provides with a strong theoretical base. It would include various information of bread industry of Australia such as market share, opportunities, challenges, trends, etc. which helps the industry to achieve the desired growth. Specific hypothesis have been formulated on the basis of the topic and would be evaluated in the literature effectively. The hypothesis would be proved with the help of effective facts and information collected from the past literatures and studies with respect to the subject matter. The bread industry is been considered to be the most important and ancient industries of Australia. In-spite of the modification in the diets due to the growing health concerns, multiculturalism and the abundance of snack food, bread remained an important part of life. It has been identified that the average consumption of bread in Australia had been reduced but the industry had emerged again with the excessive variants in the products such as whole grain, wholemeal, sweetened, seeded, artisan loaves, sourdough and rye, focaccia and the flat breads. As per Trevena.et.al, (2014) the bread industry records the business worth nearly about $2.5 billion per year in Australia. There is a rapid increase in the competition for the market share in the bread production industry. With the increase in the number of supermarkets, in-store bakery, etc. there had been an immense competition for the bread producers who have contributed an annual growth of approximately 2.1% in last five years. It has been expected that the revenue income of the industry would reach up to $2.6 billion till 2017. Bread has given a vast business scope to the Australian population worth of more than two third or 62% of the total market share with respect to the bread sold. It has been identified that the bread industry needs a fair level of capital investment as measured through the ratio of capital and labour. The industry of bread in Australia is been mainly dominated by the large players having highly mechanized production lines which required human involvement also which makes the production process highly capital demanding. Bread is been seen to be the most essential part of life and is commonly used in each and every region all over the world (Ferguson, 2016). The industry was been listed among the largest industries of Australia which provides with the remarkable amounts of revenue income and growth to the economy but with the increase in the competition and advancements, the industry faced decline in the same. It covers average market share and contributes in the enhancements in the economy. Moreover, the researcher had also found that the bread industry requires more investments in terms of human resources, advancement, and development. Thus the hypothesis 1 could be stated to be true with the fact that the bread industry requires having more investments and advancements so that to meet the market competition and establish its roots in Australia. According to Proust and Cunningham, (2015) there is wide scope in the bread industry which helps producers make higher amounts of profitability. With the emergence of new and advanced technologies and variants in the products and services of bread industry, there has been an immense scope and opportunities in the industry. The producers had emerged with new products and services which could help in covering the wider market area and sustain for the longer periods of time. It has been identified that there is a huge potential rolls and slice breads in Australia as people are much inclined towards the cheap and easy lunch alternatives. There is a growth potentiality in the industry as new innovative flavours or ingredients have been emerged in the bread production which made the business turn to new avenues. The increase in the availability of various products had stimulated the industry to the great extent. In addition to this, with the establishment of in-store bakeries in the supermarket chains across the country had also opened new doors for the bread production companies (Dunn, 2014). Ng and Shukor, (2016) in their studies had discussed that the increase in the health consciousness and awareness about the benefits of consuming multigrain bread had also made them grow in new ways. It has been also found that increase in the supermarket chains as a one stop shop for the grocery products and services had also facilitated with the enhancements in the demands and supply of freshly baked breads daily and made the industry develop to the great extent. The producers in bread industry of Australia could move towards the advancement in the products and services instead of just following the tradition forms of artisan breads. The industry could explore the products in terms of presentation, flavours, varieties, etc. by keeping the consumer preferences and choices in minds. There are various baking advancements which had taken place in the market such as use of gluten free bread, sweet breads, different shapes, sizes, etc. According to Silva.et.al (2015) it has been expected that the revenue income of the industry would increase by 2.0% in 2016-17. Even it has been found that the Australian people are now a day inclining towards the cheap products of bakery preferring more in lunch due to the busy working hours. There is a huge potentiality in the business offering quality products on affordable prices and attracting higher number of customers effectively. However, the rise would be seen with the growth in the sales of bread in the country. It has been seen that it is important for the producers of bread to concentrate on the enhancement of customer value with the help of bread products and convince them to spend on the consumption of bread at large. Thus, the hypothesis 1 is been proved with the facts of bread industry in Australia. It is been identified that the business acquires immense scopes and opportunities which could help the bread industry to grow. It has been also found that the new businesses seeking to emerge in the bread industry would have new ways of entering into the business and capture the market share by offering new variants to the customers and attract them towards the products (O'Hara.et.al, 2013). There is an immense opportunity of growth in the bread industry which could be attained by investing adequate amounts in the modifications of the procedures and flourish the business accordingly. Additionally, the bread industry is been estimated to flourish with the growth rate of approximately 3.3% annually. From the facts presented above Hypothesis 1 is found to be true. Isma’eel.et.al, (2015) stated that each and every industry acquires wide ranges of challenges which restricts them to acquire the desired growth and income levels. The emergence of large amounts of small and medium enterprises like speciality bakeries, super market, retail, etc. and the homogenous products along with the immense competition had led the profitability of bread industry in Australia towards a drastic decline which hampered the business processes to the great extent. The basic challenge for the bread industry is changes in taste and preference of customer by which industry is facing high losses in the profits. Another challenge is the durability of the dough sometimes breads become unusable and organization has to throw it in dustbin. Shifting the preference of consumer is also harming the profits of the industry. It has been also identified that the rise of super market in store bakery has been massive challenges for bread producers. Customer always desires for the fresh bread and they always ignore the old bread due its freshness. Rising health consciousness is driving consumers to take the organic, wholegrain, seeded or gluten-free option (Cockfield, 2015). This all things are decreasing the demand of bread in the market thus it affects the profits of organizations. As per Huang.et.al, (2016), mass producers of bread have recently started to respond to this trend and they are using the latest technology for production and thus of affects the market of old producers. The main motive of new comers is to earn profit in order to gain profit they are providing low quality breads to the consumer and thus it decrease customer retention in the market. In context to the recent era, it has been seen that the technological changes are been considered to be the biggest challenge for the bread industry in Australia as it makes the companies to invest more in bringing the advancement in the manufacturing or production procedures. The industry is also facing a challenge due to the increase in the technological advancement in the machineries and the introduction of the substitutes of the basic ingredients. It has been seen that the traditional ways of artisan production procedures of bread had replaced the new technological ways which impacted the small sized enterprises with lower level of investments in the same. The fluctuation in prices in past few years had also hampered the growth prospects and had compressed the profit margins of the industry (Wang.et.al, 2015). Increase in the health concerns in the Australian population along with the awareness of nutritional benefits related to the consumption of carbohydrate and the increase in gluten intolerance had also created a great challenge for the bread industry. Ferguson, (2016) in his studies discussed that the challenges being faced by the industry requires having adequate planning and investments to meet the trends in the industry. It has been even found that in past five years the bread industry of Australia had gone through intense competitive pressures which had declines the number of customers as well as the prices of the commodities. Thus, hypothesis 0 had been proved with the information and facts about the challenges faced by the bread industry of Australia and had impacted the business to the large extents. Change is an ongoing process and thus every industry faces the issues of changes due to various aspects. As per Trevena.et.al, (2014) there are various trends which had impacted the bread industry to the large extend. With the change in the taste and preferences of the customers over a specific products and services, there had been a great shift in the bread industry as well. Some of the basic key trends which shaped the bakery industry and the market conditions along with the emergences of latest innovation in products such as emergences of various alternatives like snacking, hybrids, ethnic or specialty in flavors, etc. The emergence of new bread products had made the people shift towards them from the tradition breads. People nowadays are much interested to try new variants and experiments the products for new experiences. Thus, the tradition artisan bread products had been largely impacted which made the industry face drastic decline. Ng and Shukor (2016) had discussed that with the increase in the number of supermarket in-store bakeries and the shift of people towards the artisan and specialty retailers from the factory baked bread had resulted in decline in the industrial share in the bread production on overall basis. It has been identified that the changes in the trends impacts the bread industry of Australia in both the positive and negative aspects. There has been a trend of using new innovative products or varieties in the bread which provides them with new experiences and satisfactions. It has been even seen that the bread industry had faced a low growth in the well established markets due to the increasing competition and preferences of the consumers. Consuming healthy or whole wheat bread is also a new trend which made people more conscious about their health and influenced the sales of traditional bread rolls or slices. The consumers had also switched towards the packaged bread instead of purchasing unpackaged bread with the purpose to look for the western style priced bakery products. Moreover, changes in the preference of consumer are also harming the profits of the industry. It has been also identified that the rise of super market in store bakery has been massive challenges for bread producers. Customer always desires for the fresh bread and they always ignore the old bread due its freshness. Rising health consciousness is driving consumers to take the organic, wholegrain, seeded or gluten-free options. This all things are decreasing the demand of bread in the market thus it affects the profits of organizations (Probst and Cunningham, 2015). Thus, the facts support the hypothesis 1 stating that the changing trends impacts the bread industry of Australia to the great extent. It is very much important for the industry to acquire adequate knowledge and information about the market trends and the customer preferences so that to meet the expectations and provide with the enhanced satisfactions. It has been also seen that with the increase in the investment and advancement in the production process of bread industry of Australia would lead towards the achievement of desired outcomes effectively. Thus the bread industry is impacted by the current market and social trends. Thus Hypothesis 1 is found to be true. After going through the literatures with respect to the bread industry of Australia it could be stated that bread industry in Australia is highly dominated by the large players having highly mechanized production lines which required human involvement also which makes the production process highly capital demanding. It has been identified that the bread industry requires having more investments and advancements so that to meet the market competition and establish its roots in Australia. Even it has been seen that there is a growth potentiality in the industry as new innovative flavours or ingredients have been emerged in the bread production which made the business turn to new avenues. The literature revealed that industry acquires immense scopes and opportunities which could help the bread industry to grow. It has been also found that the new businesses seeking to emerge in the bread industry would have new ways of entering into the business and capture the market share by offering new variants to the customers and attract them towards the products. Moreover, it has been also revealed that the changes in the trends impact the bread industry of Australia in both the positive and negative aspects. For carrying out the present study researcher has undergone descriptive research design as this particular research will be formulating hypothesis in order to test the relationship between stock market development and its impact on economic growth. For achieving different objectives of this section researcher has undergone various aspects such as research philosophy, research approach, research type, research design, data collection, accessibility issues, data analysis, and ethical consideration and research limitations. In that the data will present in the graphical format to understand the effectiveness of the data. The analysis of data collected from the different sources and techniques for finding the desired results which will help to determine the effectiveness of the research. Data analysis will be performing by using the thematic approach and considering the question that proposed for research. The analysis of data collected from the different sources and techniques for finding the desired results which will help to determine the effectiveness of the research. At last the research will provide the conclusion on the basis of the results which will help to understand the areas of lacking and process of improvement to influence the business of bread industry of Australia. In order to carry out a study data can be collected from secondary source depending upon the requirement of a particular research. For collecting secondary data investigator may undergo books, journals, websites, online libraries etc. In order to achieve the objectives of the present study researcher has collected the entire data from secondary sources such as books, journals and websites which were providing appropriate information with respect to impact of stock market development on economic growth in Australia. This is an important area of study that will define the process of undertaking the process of collecting and analysing the data for managing the research. This section has significant impact on the finding and results of the study. In order to carry out the present research author has undergone secondary data collection for building a strong theoretical background. Even numerical data has been collected in order achieve objective of the research and to test out hypothesis with respect to this study. Research methodology and data collection helps out readers in getting absolute knowledge and understanding the way investigator has adopted for achieving desired results for the research. Investigator lays down proper focus in planning out appropriate research methodology in order to successfully achieve objectives of the research. For the particular research secondary data collection and positivism philosophy will be used for understanding of data. Moreover deductive approach will be used to draw appropriate conclusion. For carrying out the present study researcher has undergone descriptive research design as this particular research will be formulating hypothesis in order to test the relationship between stock market development and its impact on economic growth. In addition to choose the sample for the study the random sample method will be used that will give the information about the different types of process and development approaches have been used by the various production organization in Australia for bread. Furthermore, data sampling will involve the past data information to maintain the accuracy and effectiveness of the data to research the desired result. Apart from that to record the data and observation of the information the documentation approach will be preferred over the questioner and face to face interaction. This kind of sampling and data collection process will help to meet the desired level of results and finding about the bread industry of Australia. The studies discussed that the challenges being faced by the industry requires having adequate planning and investments to meet the trends in the industry. It has been even found that in past five years the bread industry of Australia had gone through intense competitive pressures which had declines the number of customers as well as the prices of the commodities. Thus, hypothesis 0 had been proved with the information and facts about the challenges faced by the bread industry of Australia and had impacted the business to the large extents. The use of hypothesis and past data will help to maintain the accuracy and confidence to meet the effectiveness of the research for proper data analysis. From the study and data sampling, it can be identified that, the emergence of large amounts of small and medium enterprises like speciality bakeries, super market, retail, etc. and the homogenous products along with the immense competition had led the profitability of bread industry in Australia towards a drastic decline which hampered the business processes to the great extent. The basic challenge for the bread industry is changes in taste and preference of customer by which industry is facing high losses in the profits. Another challenge is the durability of the dough sometimes breads become unusable and organization has to throw it in dustbin. Additionally, there is a rapid increase in the competition for the market share in the bread production industry. With the increase in the number of supermarkets, in-store bakery, etc. there had been an immense competition for the bread producers who have contributed an annual growth of approximately 2.1% in last five years. It has been expected that the revenue income of the industry would reach up to $2.6 billion till 2017. In the present research the qualitative data analysis method will be appropriate that will help to evaluate the data more convincing manner as it based on the secondary information collected through secondary sources. The qualitative data analysis will help to evaluate hypothesis that used for gaining the information about the bread industry of the Australia. The basic challenge for the bread industry is changes in taste and preference of customer by which industry is facing high losses in the profits. Another challenge is the durability of the dough sometimes breads become unusable and organization has to throw it in dustbin. Shifting the preference of consumer is also harming the profits of the industry. According to analysis, the consumers had also switched towards the packaged bread instead of purchasing unpackaged bread with the purpose to look for the western style priced bakery products. Moreover, changes in the preference of consumer are also harming the profits of the industry. It has been also identified that the rise of super market in store bakery has been massive challenges for bread producers. Customer always desires for the fresh bread and they always ignore the old bread due its freshness. It has been also identified that the rise of super market in store bakery has been massive challenges for bread producers. Customer always desires for the fresh bread and they always ignore the old bread due its freshness. The hypothesis that has been framed to analyse the effectiveness and challenges for bread industry of Australia is being accepted as the current growth and planning of the industry is according to expected rate. The consumption of bread in nation is increasing with the time and demand of the bread products is also increasing. In addition to this, government should help them in developing new technologies to suit their needs and circumstances. This help can be in the form of subsidies, grants or loans. It has been also found that the new businesses seeking to emerge in the bread industry would have new ways of entering into the business and capture the market share by offering new variants to the customers and attract them towards the products. Moreover, it has been also revealed that the changes in the trends impact the bread industry of Australia in both the positive and negative aspects. Now, form the data analysis, it is been considered that the hypothesis that have been framed for evaluating the industry effectiveness are according to the desired results and can contribute to the planning of further modification for the tools and technology for extension of bread industry. Moreover, the hypothesis 1 is been proved with the facts of bread industry in Australia. It is been identified that the business acquires immense scopes and opportunities which could help the bread industry to grow. It has been also found that the new businesses seeking to emerge in the bread industry would have new ways of entering into the business and capture the market share by offering new variants to the customers and attract them towards the products and services to encourage the business outcome. Customer always desires for the fresh bread and they always ignore the old bread due its freshness. From the study and data sampling, it can be identified that, the emergence of large amounts of small and medium enterprises like speciality bakeries, super market, retail, etc. and the homogenous products along with the immense competition had led the profitability of bread industry in Australia towards a drastic decline which hampered the business processes to the great extent. It has been also identified that the rise of super market in store bakery has been massive challenges for bread producers. Customer always desires for the fresh bread and they always ignore the old bread due its freshness. It has been also identified that the rise of super market in store bakery has been massive challenges for bread producers. The hypothesis also been accepted as the data analysis has suggested that the challenges that identified are affecting the industry slightly for maintaining the growth. The producers in bread industry of Australia could move towards the advancement in the products and services instead of just following the tradition forms of artisan breads. The industry could explore the products in terms of presentation, flavours, varieties, etc. by keeping the consumer preferences and choices in minds. There are various baking advancements which had taken place in the market such as use of gluten free bread, sweet breads, different shapes, sizes, etc. It has been expected that the revenue income of the industry would increase by 2.0% in 2016-17. Even it has been found that the Australian people are now a day inclining towards the cheap products of bakery preferring more in lunch due to the busy working hours. This hypothesis is been proven valid as the data analysis of opportunities for growth in the industry is increasing as the new products and services is being offered by the organization to retain the customers. Moreover, the fluctuation in prices in past few years had also hampered the growth prospects and had compressed the profit margins of the industry. Increase in the health concerns in the Australian population along with the awareness of nutritional benefits related to the consumption of carbohydrate and the increase in gluten intolerance had also created a great challenge for the bread industry. Even it has been found that the Australian people are now a day inclining towards the cheap products of bakery preferring more in lunch due to the busy working hours. There is a huge potentiality in the business offering quality products on affordable prices and attracting higher number of customers effectively. The literature review is been carried out by going through various researches and studies published by the renowned scholars or researchers in their past studies. 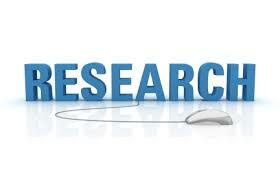 It also increases the effectiveness of the research and provides with a strong theoretical base. It would include various information of bread industry of Australia such as market share, opportunities, challenges, trends, etc. which helps the industry to achieve the desired growth. Specific hypothesis have been formulated on the basis of the topic and would be evaluated in the literature effectively. The hypothesis would be proved with the help of effective facts and information collected from the past literatures and studies with respect to the subject matter. The hypothesis that has been framed to analyse the effectiveness and challenges for bread industry of Australia is being accepted as the current growth and planning of the industry is according to expected rate. The consumption of bread in nation is increasing with the time and demand of the bread products is also increasing. In addition to this, government should help them in developing new technologies to suit their needs and circumstance. It has been also found that the new businesses seeking to emerge in the bread industry would have new ways of entering into the business and capture the market share by offering new variants to the customers and attract them towards the products and services to encourage the business outcome. In order to maintain the growth and improvement in the production and sales of the bread in nation, it is been recommended to organization to use the new flavours and taste culture. It has been also found that the new businesses seeking to emerge in the bread industry would have new ways of entering into the business and capture the market share by offering new variants to the customers and attract them towards the products. Moreover, it has been also revealed that the changes in the trends impact the bread industry of Australia in both the positive and negative aspects. Furthermore, the use of market trends and use of different promotional strategy will help industry to encourage the development and revenue. It is also recommended that the Australian people are now a day inclining towards the cheap products of bakery preferring more in lunch due to the busy working hours. There is a huge potentiality in the business offering quality products on affordable prices and attracting higher number of customers effectively. The bread industry was been listed among the largest industries of Australia which provides with the remarkable amounts of revenue income and growth to the economy but with the increase in the competition and advancements, the industry faced decline in the same. It covers average market share and contributes in the enhancements in the economy. With the increase in the number of supermarkets, in-store bakery, etc. there had been an immense competition for the bread producers who have contributed an annual growth. The research had discussed that with the increase in the number of supermarket in-store bakeries and the shift of people towards the artisan and specialty retailers from the factory baked bread had resulted in decline in the industrial share in the bread production on overall basis. It has been identified that the changes in the trends impacts the bread industry of Australia in both the positive and negative aspects. There has been a trend of using new innovative products or varieties in the bread which provides them with new experiences and satisfactions. Even it has been seen that there is a growth potentiality in the industry as new innovative flavours or ingredients have been emerged in the bread production which made the business turn to new avenues. The literature revealed that industry acquires immense scopes and opportunities which could help the bread industry to grow. It has been also found that the new businesses seeking to emerge in the bread industry would have new ways of entering into the business and capture the market share by offering new variants to the customers and attract them towards the products. Cockfield, G., 2015. From state direction to community self-efficacy: The devolution of responsibility for regional development in Australia. Dunn, R., 2014. German Bread Making–attracting and retaining apprentices in the Australian industry. Ferguson, P., 2016. The politics of productivity growth in Australia.Australian Journal of Political Science, 51(1), pp.17-33. Huang, H.W., Wu, S.J., Lu, J.K., Shyu, Y.T. and Wang, C.Y., 2016. Current status and future trends of high-pressure processing in food industry. Food Control, 72, pp.1-8.